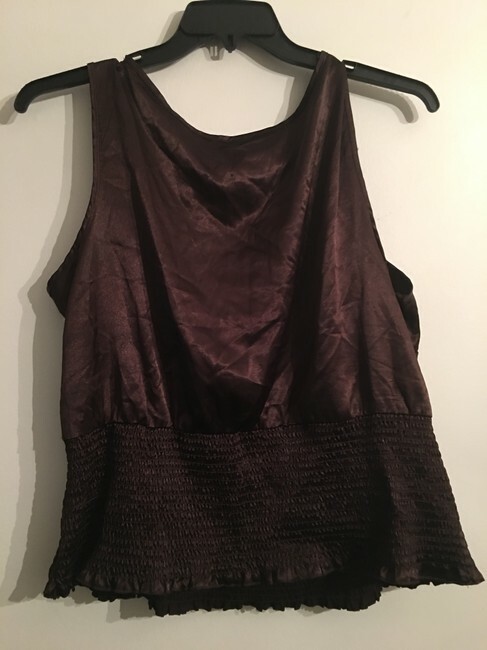 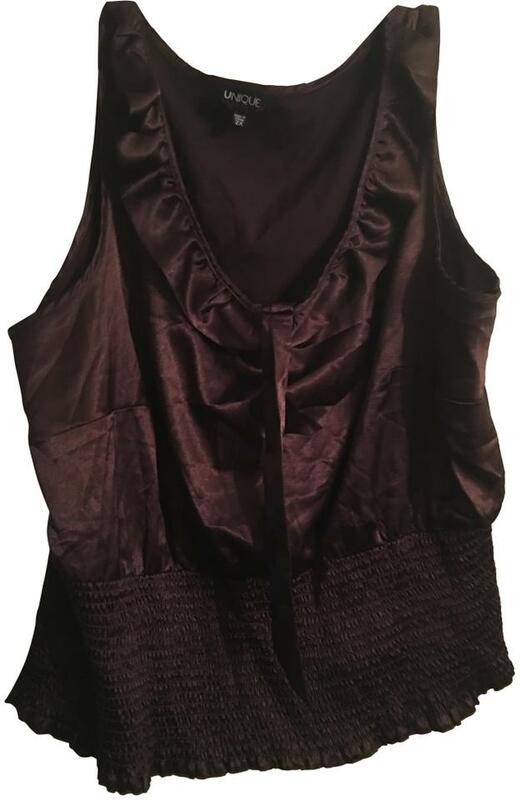 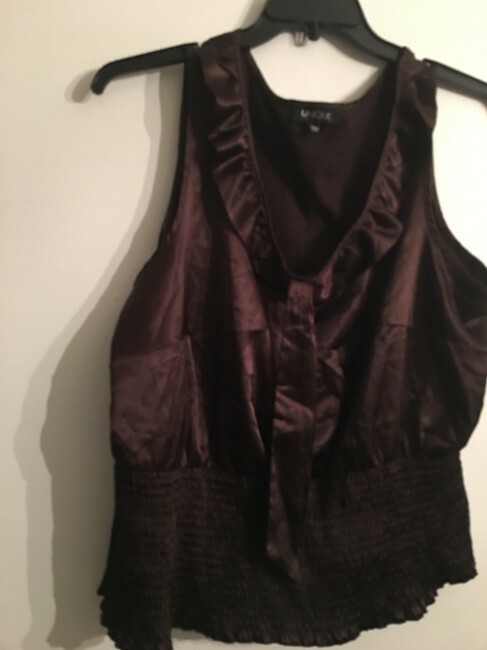 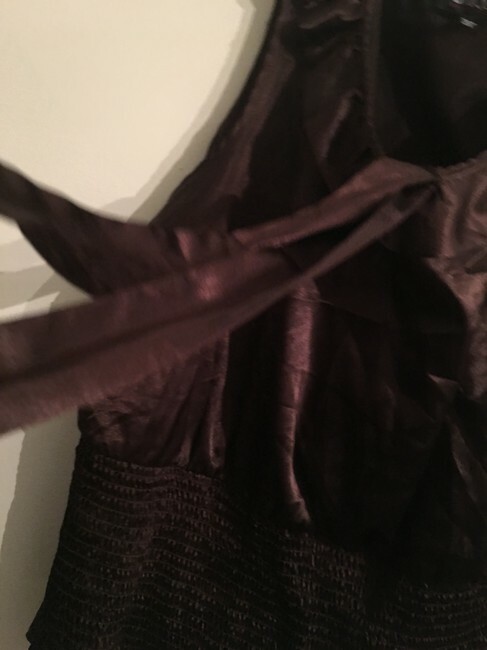 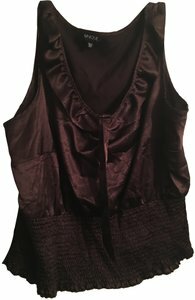 Gorgeous brown sleeveless top with attached neck tie, ruffle detail on the collar and elastic stretch cinched waist band that gives it a slimming fitted look. 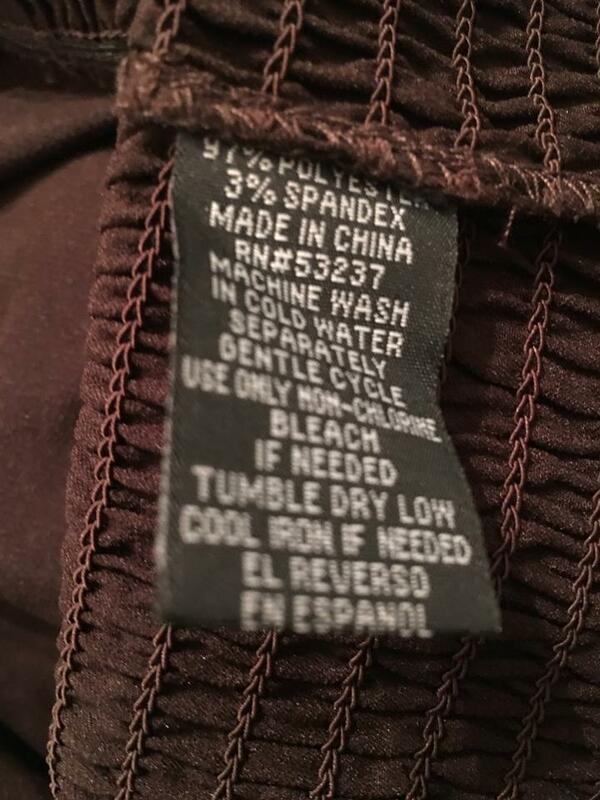 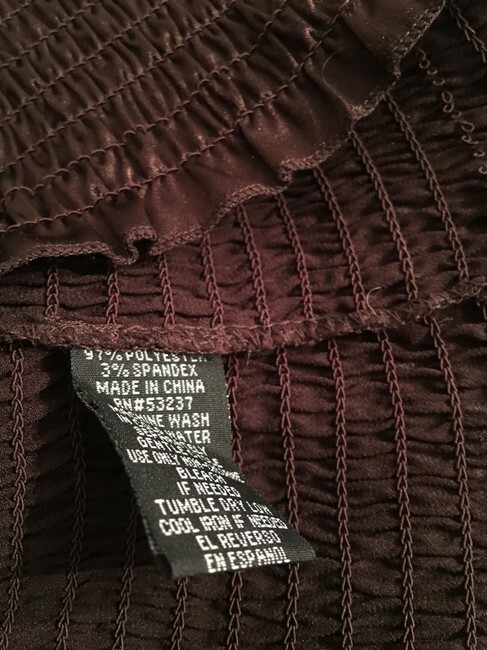 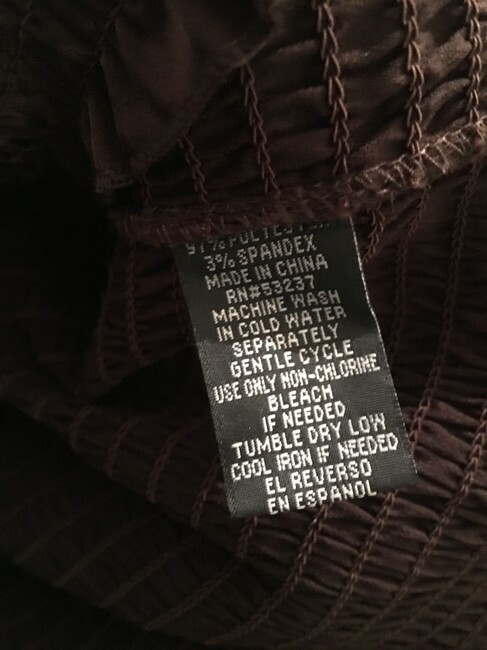 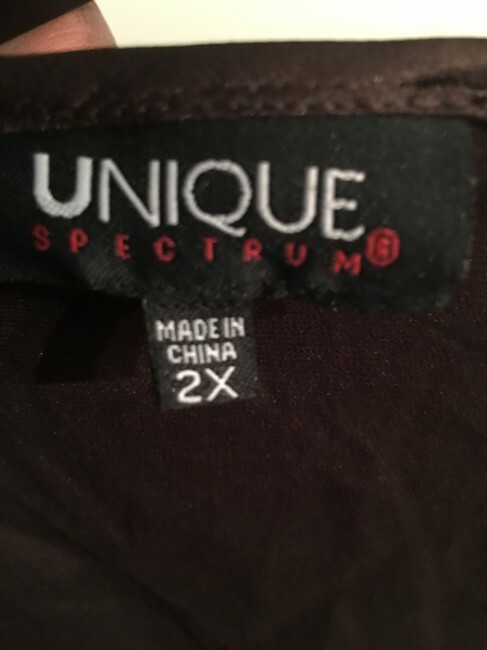 Soft fabric in Size 2X. It's a great piece to add to your wardrobe.